WhatIWore: Lately I’ve been getting up early and heading to a coffee shop before the sun rises so I can have some focused time to work on my blog while Adam watches the kids. Trust me when I tell you that when I have a chance to roll solo, I make the most of it, including getting ready and putting on a proper outfit. This is what I wore earlier this week - a combo of two investment pieces that I’m so excited to wear this fall. 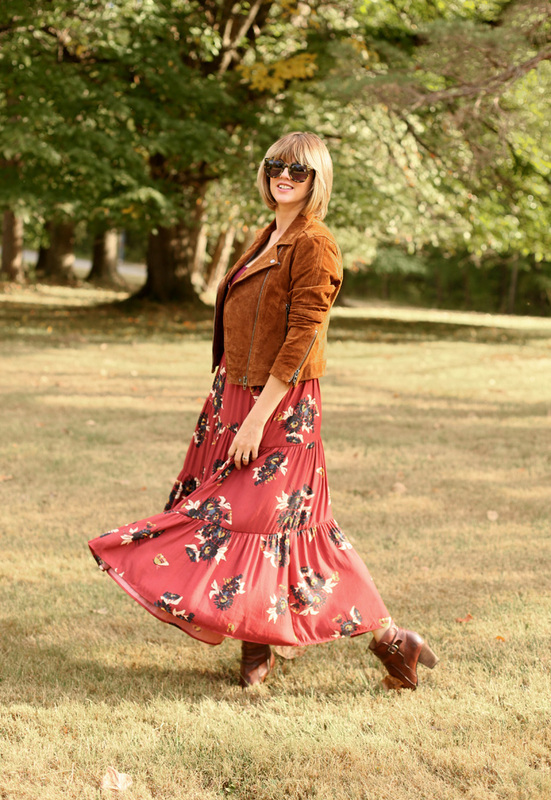 You saw this Free People dress on the blog a couple weeks ago here and then I styled this suede jacket over a sundress last week here. Together they’re bringing all the fall vibes! Gimme a pumpkin spiced latte NOW! Where: Work session, errands with the kids!